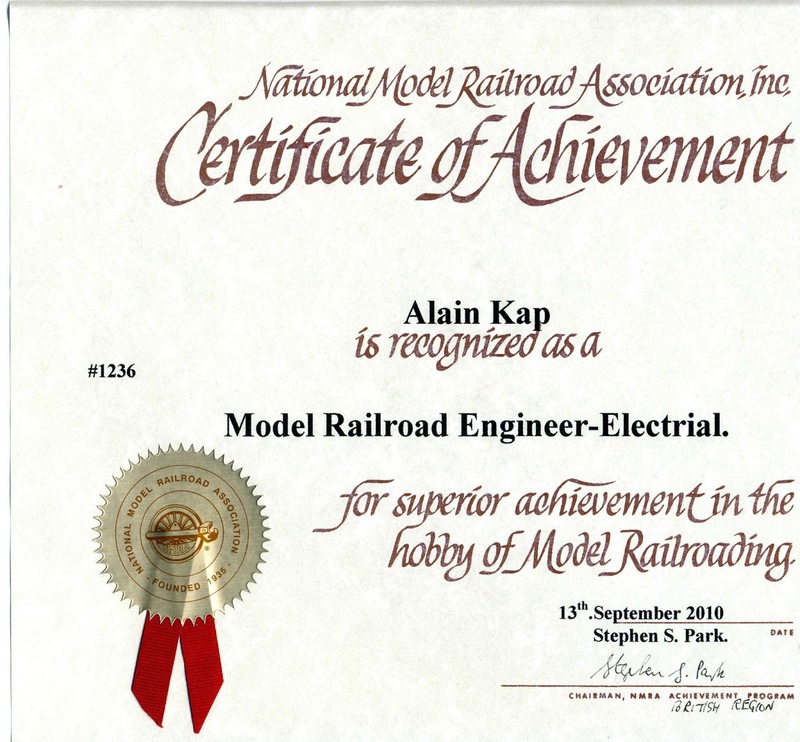 The requirements for Model Railroad Engineer - Electrical may look long and complicated, but they are not really. The reason that they are so long is to offer you more options for meeting the requirements. 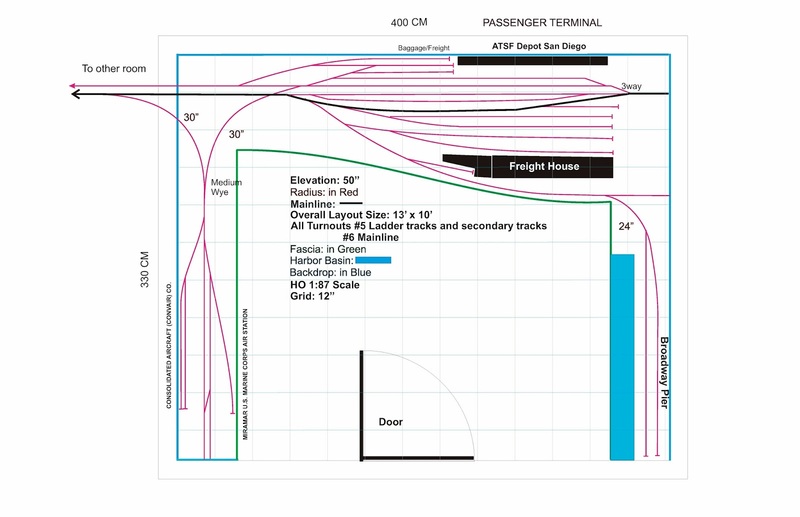 You don't even have to do all of the work on a single layout - you can do some on a club layout, some in your basement, and some on your garden railroad, etc. Remember - don't make the requirements more difficult than they are, by reading more into them than is there. 1. For conventional DC wiring (non-command-control), five electrical blocks that can be controlled independently. For command control wiring (DCC, TMCC, and others), sufficient gaps and switches to maintain polarity, phase if needed, and troubleshooting. 2. One mainline passing siding. 3. 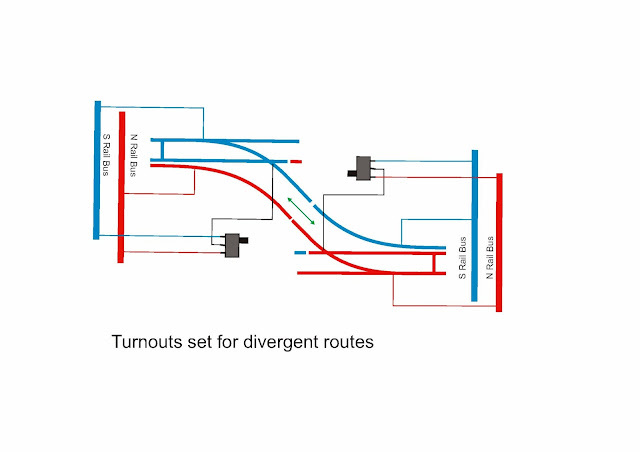 One reversing loop, wye, turntable, or transfer table. 4. 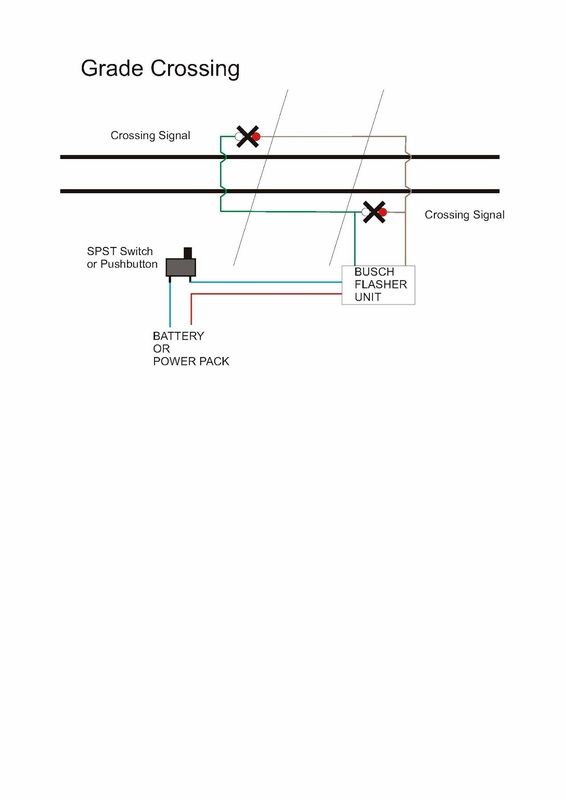 One yard with a minimum of three tracks and a switching lead independent of the main line. 6. One power supply with protective devices (short indicator or circuit breaker) to ensure safe operation. 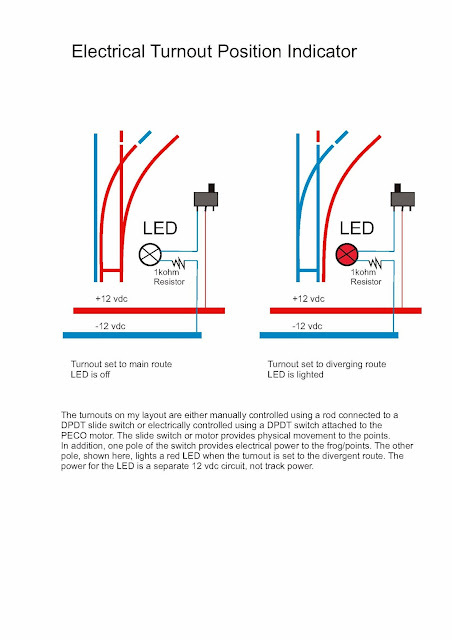 Wiring up the simplest powered turnout from your hobby store will satisfy this requirement. Most commercial crossings come pre-wired. Just set one up so that you can run trains through on both tracks. 2. Track occupancy indication on a control panel or at trackside for a minimum of five blocks. 4. 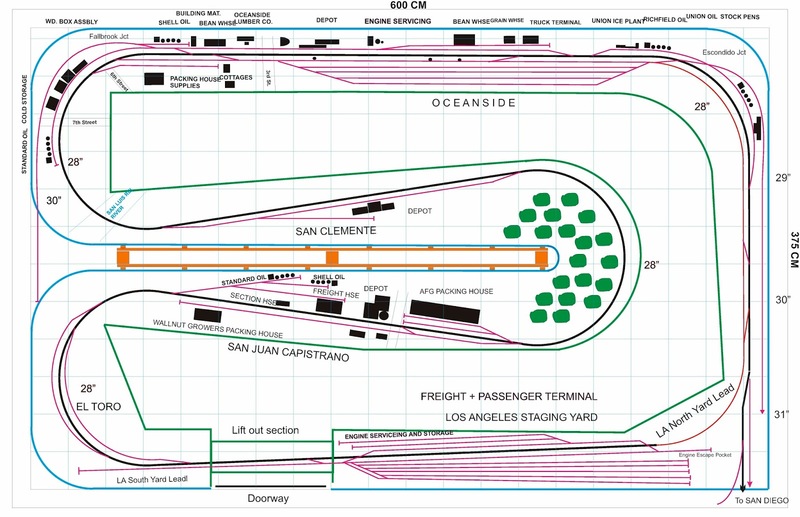 Engine terminal, including an electrically powered turntable or transfer table, a minimum of three stall tracks, and at least two blocked storage sections for parking locomotives outside the stall area. 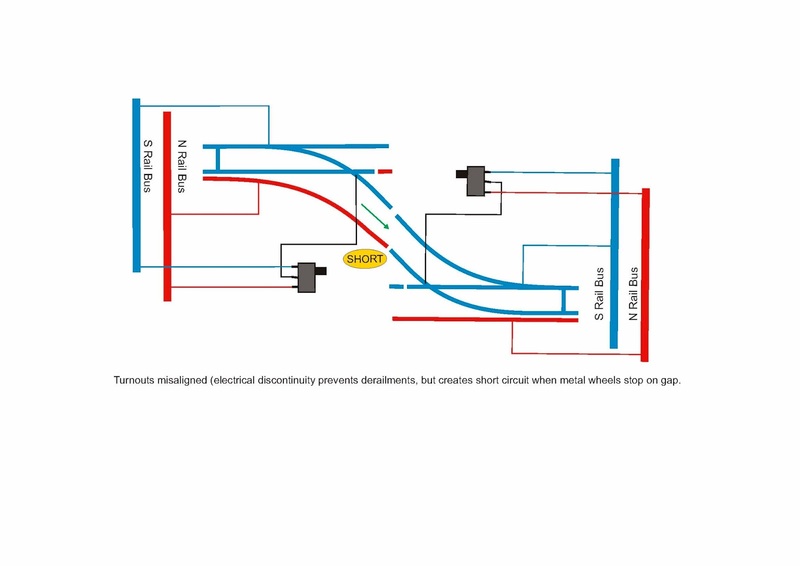 (This means you need to have a total of five tracks (three inside an engine house or roundhouse, and two outside), that you can cut power independently to store motive power). 9. Two-way block signaling with automatic train detection for at least five blocks. (See remarks under #8). 11. 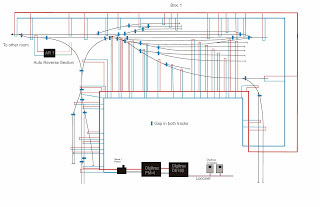 Installation of an advanced electronic and/or computer control for the model railroad. 12. Design, installation, and operation of animated mechanical and/or electrical displays. 13. Design, installation, and operation of mechanical and/or electrical layout lighting displays. 14. Installation of a command control receiver. Modifications or additions to the device's wiring are required. 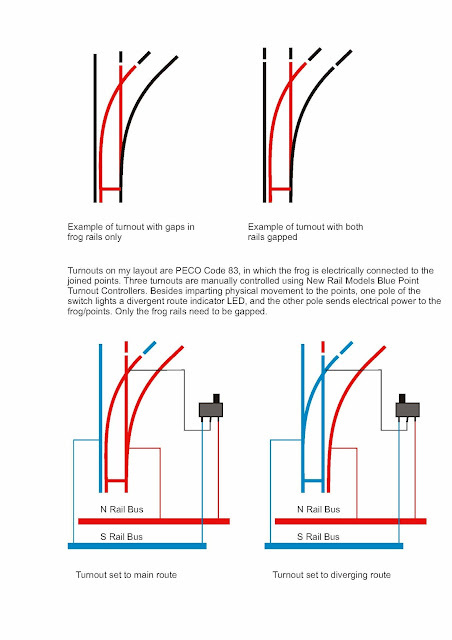 Installing a plug-equipped decoder into a manufactured prewired socket is not sufficient. 15. Installation of a command control throttle buss line around a layout capable of handling at least two throttles at three or more separate locations. 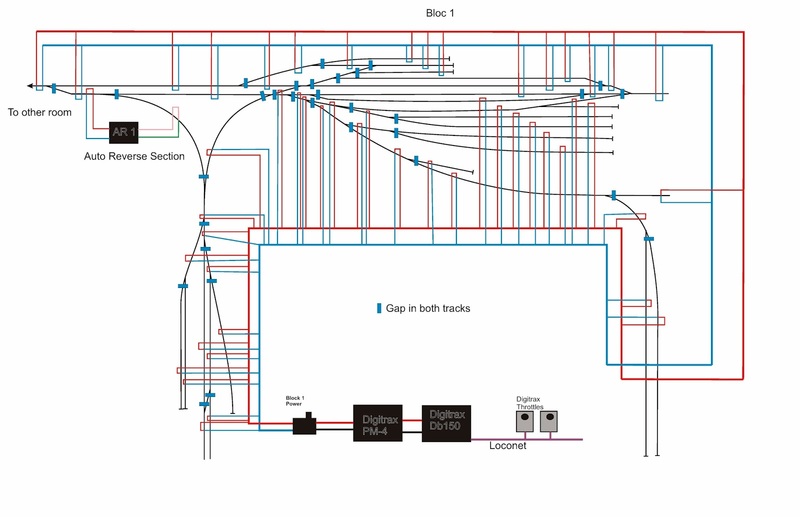 Construction and installation of a sound system. 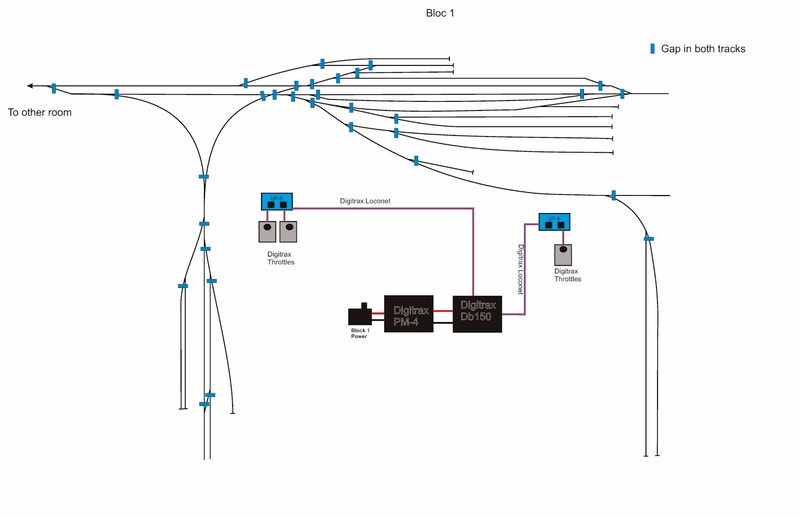 Construction and installation of a signaling system. Development and installation of a CTC system. 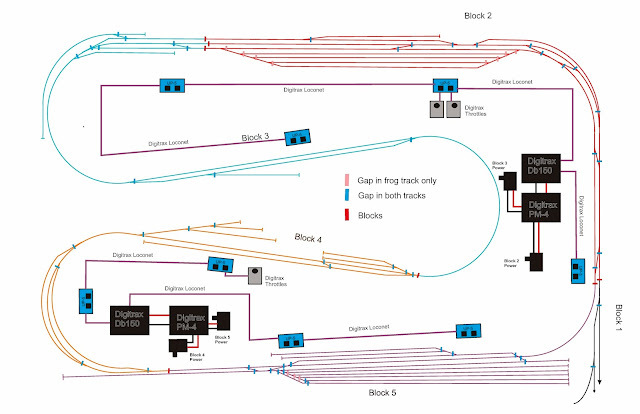 Installation and operation of an on-board video system. Computer generated block detection information. Hardwired or stored control program (i.e. computer) for operation of the railroad. 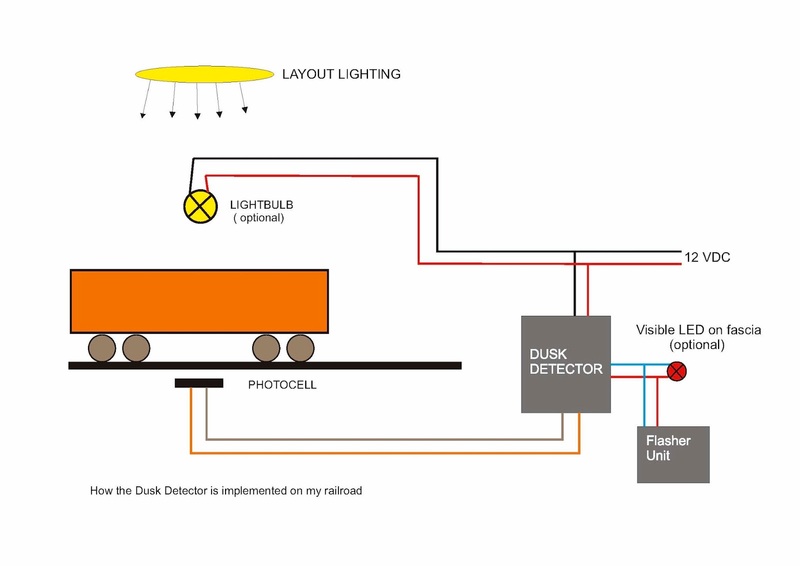 Development and demonstration of a computer-to-railroad interface. At first I didn't really know how to demonstrate and document everything that is required for this certificate. I'm very gratefull that I found Gerry Leone's homepage to give me a clue how to handle it all. It gave me a lot of inspiration. I was really at a loss, so unfortunately some of the drawings look a lot like his. This is one of the reasons for my blog, because I believe that many modelers encounter the same problems. 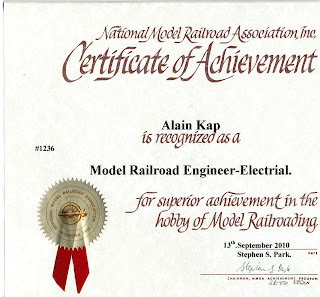 Especially for those members living in quite remote areas with none or very few Master Modelrailroaders you could ask. 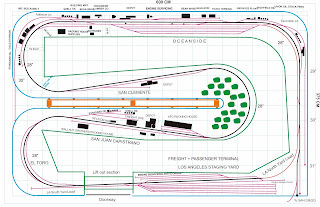 D. Prepare a schematic drawing of the propulsion circuitry of the model railroad in (A) showing the gaps, blocks, feeders, speed and direction control, electrical switches, and power supplies. Note that this requirement includes ONLY the propulsion circuitry. 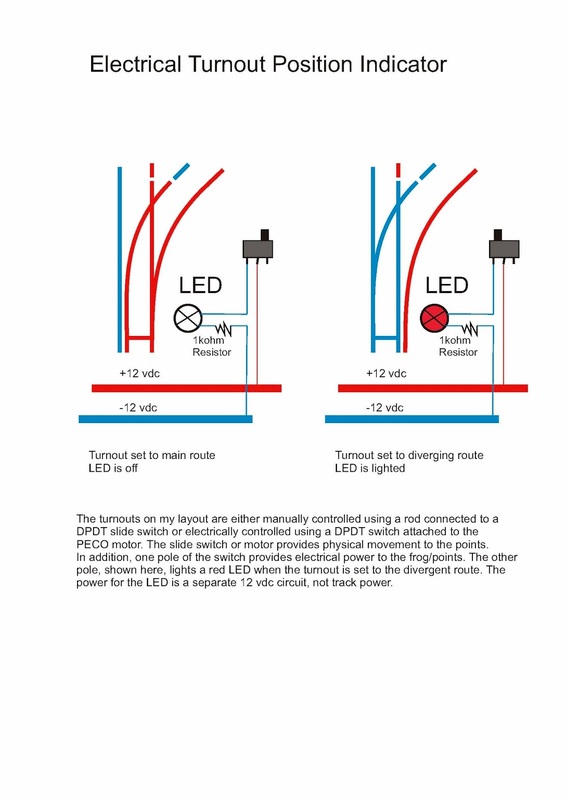 It is not required to include the wiring for electrical turnout control, signal systems, building lighting, etc. 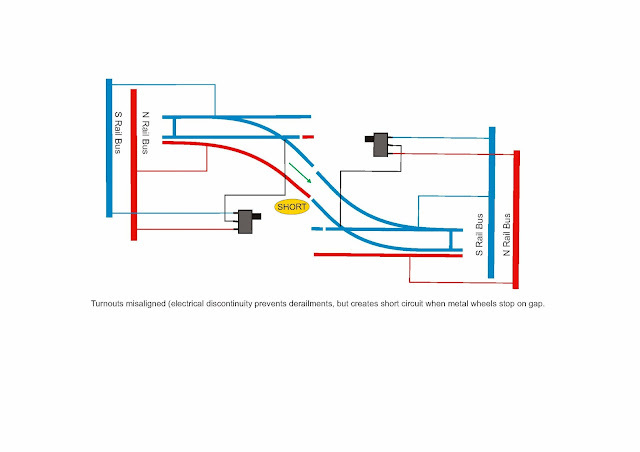 You do not need to include the details for parts of the diagram which are repeated. 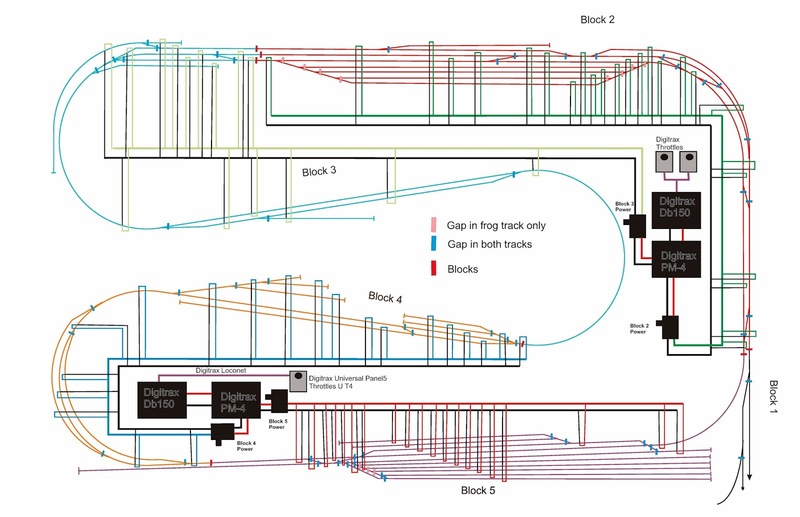 If a number of parts are wired in the same way, it sufficient to draw one section in detail and indicate other locations with rectangles. 5. 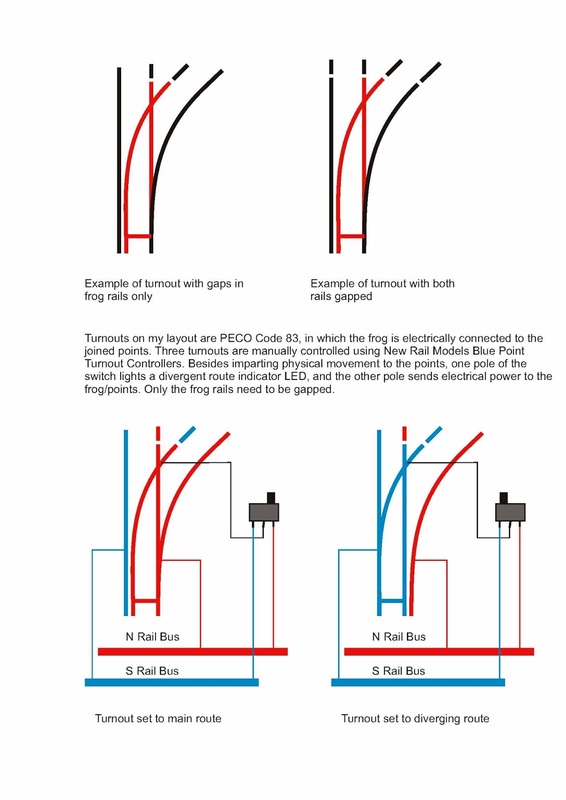 Prepare schematic drawings identifying the wiring and components of the six items under (2) and (3). For the sake of clarity, these schematics should probably be separate from the propulsion circuitry schematic in (D) above. If you already have one over-all schematic of the layout, you might want to consider making multiple copies and going over the applicable lines with a highlighter for each feature.